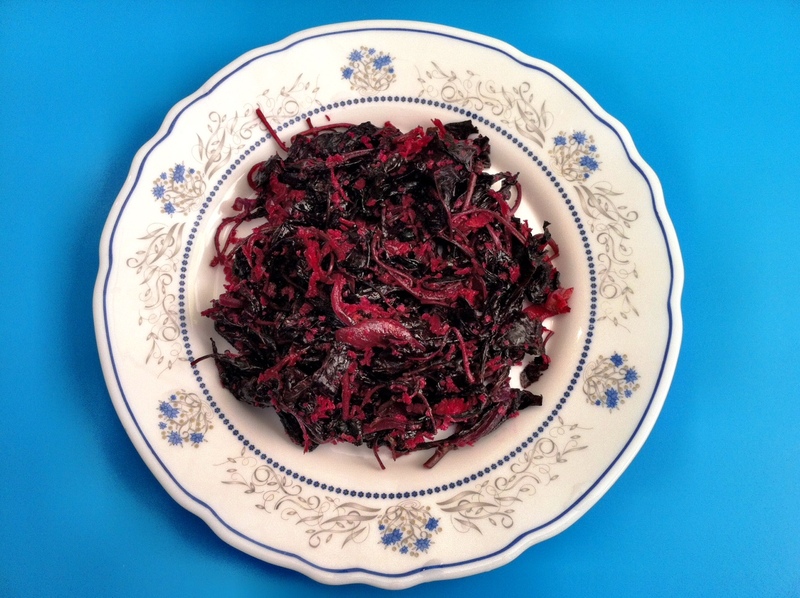 Red spinach is rich in Vitamin A, Vitamin C, Iron and other essential minerals. The red spinach is more sweeter than green spinach and tastes different. Note: Those who eats egg can change the recipe by adding scrambled egg to the spinach and mix all together to get a different flavor and taste to the whole dish. For those who do not like egg please skip step 6 and jump to step 7 to complete the recipe. Heat oil in a pan and splutter mustard. Then add coconut and chilli flakes and sauté for 1 minute. Add spinach and water to this and cook for 5 minutes with lids closed. Do not over cook as this will spoil the color and nutrition of spinach. After 5 minutes open the lid and evaporate any left over water so that spinach is not soggy. Add the perfectly whisked egg to the spinach mixture and scramble the egg with spinach until the egg is thoroughly cooked and recipe altogether is dried. Switch of the flame. Add a teaspoon of coconut oil after the flame is switched off to add special flavor to Cheera Thoran.